How can I get my OSHC card? A+ CAPEC is one of the exclusive agencies with a Qualified Education Agent Counsellor (QEAC) in each office and the Recognised New Zealand Education Agency (ENZRA) accreditation. 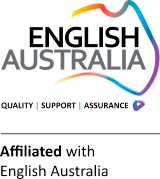 As representatives accredited by the governments of Australia (Qualified Education Agent Counsellor – QEAC ) and New Zealand (Education NZ Recognised Agent – ENZRA) we offer you all the assistance you need to study and work in Australia or New Zealand free of charge. As Australia and New Zealand education specialists, we can explain the advantages of studying in both these countries. We will guide you as to how the working world operates, your work rights and ensure that you are the best prepared possible to find work in Australia and New Zealand and be able to pay your way. With the A+CAPEC team our advice is from the very beginning right until the end of your stay. on promotions, news, course information and much more.